Nordura (Norðurá in Icelandic) is known as the most beautiful river in Iceland. Fishing can be technically demanding, but the number of fish makes it suitable for the less experienced anglers as well. My first steelhead memory is of a fifth grade teacher showing us a homemade film of him float fishing a river on British Columbia’s Vancouver Island. I was fascinated by what I saw. There was this great fish leaping around at the end of his line. It was the best part of the whole school year, just waiting in anticipation for the next film. Bolstadelva – a classic of giant salmon! Here, 25 kg used to be nothing out of the ordinary – then fish farming ruined the river, but now the salmon rise again to the mighty Vosso and Bolstadelva! Hassle free global travel has opened up the world to anglers as a learning opportunity. Yet, for many of us, clasping down on a fly rod is like hitting the mental “off switch” rather than electrifying one’s predatory brain cells. When I arrive at the river I meet the season’s very first lapwings. Beautiful birds! Five of them come flying in their characteristic way, and for me it´s a long-awaited sight. ￼The Varzina is less recognized than its neighbors, Kharlovka in the west and Yokanga to the east. Yet, Varzina is the river on the Kola that has yielded the biggest salmon in modern times; Sir Setons fish was close to 60 pounds. It is considered a June river by many, but will it deliver in July? The Classic salmon fly challenge is a fly tying competition organized by Helsinki Spey Clave in co-operation with Chasing Silver Magazine and competition sponsors. The purpose of this competition is to cherish classic fly tying skills and to introduce lesser known classic patterns to modern generations. 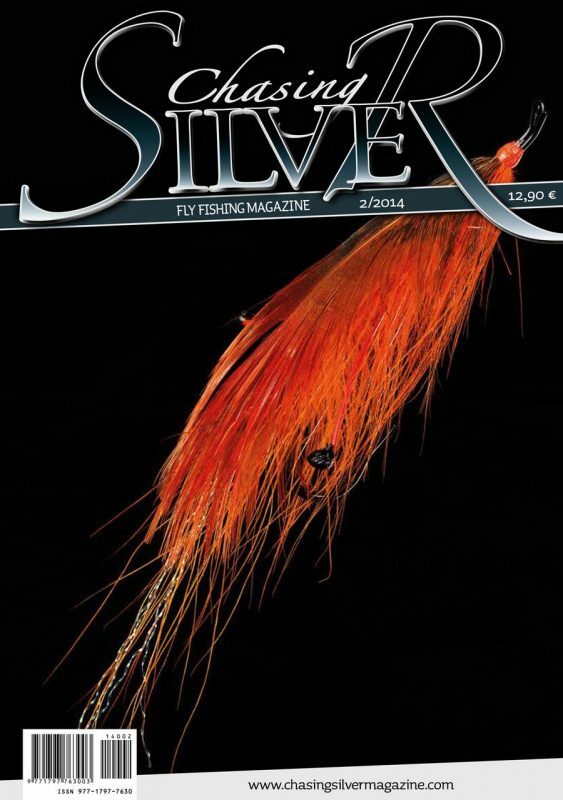 The 2014 competition was announced in the Chasing Silver Magazine issue 1/2014.